From the start of the new financial year today, sanitary pads will be exempted from Value Added Tax (VAT), as announced by Finance Minister Tito Mboweni last year. But community advocacy organisation amandla.mobi is worried that retailers could try to not pass on the zero-rating saving to consumers. “We need to monitor in-store prices to make sure greedy businesses don’t purposely increase their prices,” according to the organisation. Economist and member of the VAT review panel Thabi Leoka, however, says consumers can hold manufacturers or shops who increase their prices accountable by reporting them to the South African Revenue Service (SARS). “This is the best place to go to inform the authorities that there is no adjustments to the price of because any tax related issues fall under SARS,” she explains. “Any member of the public can also go to the Competition Commission open a case against companies that are anti-competitive and don’t want to reduce prices, adds Leoka. “The Finance Minister has endorsed it, so is basically compulsory to zero-rate the full products that we recommend,” said Leoka. Mboweni made the announcement during his maiden Medium Term Budget Policy Statement in October‚ which outlines how government will spend money in the next three years. According to the Pietermaritzburg Economic Justice and Dignity Group, a large pack of pads cost about R40,16 last October – when Mboweni made his announcement. “If the prices stayed the same, then this same pack should cost R34,92 on the 1st of April,” amandla.mobi says. Meanwhile, the Department of Women’s long awaited Sanitary Dignity Programme, which will provide free sanitary pads to menstruating learners in poorer schools (known as Quintile one to three schools), also kicks off at the beginning of April. According to government guidelines, these schools are the poorest of all public schools and learners don’t pay school fees and receive a meal at school. National Treasury approved a total of R157 million to ensure the immediate rollout in all provinces from April 2019 to March 2020, the department’s Minister Bathabile Dlamini said at the programme’s launch in February. Meanwhile, amandla.mobi says it will keep a close on how provinces roll out the programme. “We want to ensure that the corruption we saw with the free pads programme in KwaZulu-Natal doesn’t happen elsewhere. ”In 2017, the province’s education department announced that R20 million had been budgeted to provide free sanitary pads to learners in about 3 000 poverty-stricken schools during that financial year – making KwaZulu-Natal the first province to launch on such a large scale. However, the initiative was marred with allegations of mismanagement, reported News24, when the provincial South African Democratic Teachers’ Union accused depart of “commercialising the free sanitary pads initiative”. The union alleged the initial R20 million ring-fenced was bumped to R109 million which the department approved. “It’s important that the [national] rollout is done properly and the pads actually reach the learners they’re intended for so that we can learn how the programme can be to other public facilities,” says amandla.mobi. 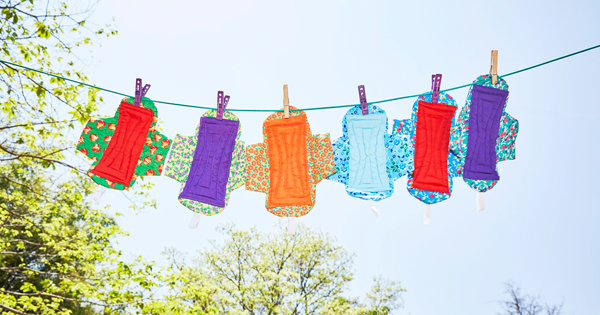 The Department of Women estimated that each learner would need about two packets of 10 sanitary pads costing R24.00. “The amount is like a drop in the ocean given the number of girls in school in these quintiles. Nevertheless, Treasury is appreciated for the start,” the department’s Chief Directorate of Social Empowerment and Participation Sipiwo Matshoba told Health-e News. Service providers will be expected to deliver on the day that sanitary towels are to handed out to learners to avoid keeping pads in schools. “Only a box or so for emergency can be kept at school. A register will be marked and signed as the girls the receive pads from their Life Orientation teacher and the principal and supplier’s signature will also be required,” said Matshoba. Provinces will be responsible for the implementation of the programme and the department will provide support and capacity building to each province, depending on the different levels of readiness, she added. – Health-e News.